I hope that this is the right section to post this. 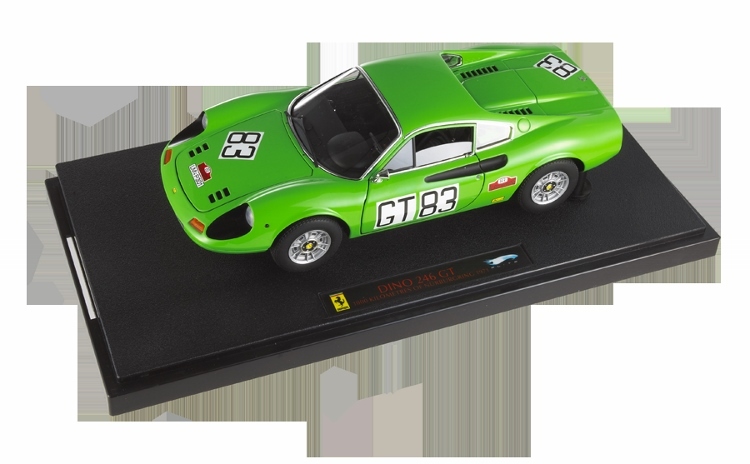 Does anybody know any info, chasiss number or have any picture of this 1/1 Dino Ferrari? Only thing I know is that it entered 1000km of Nurburgring in '71 and it finished 26th (5th in class). Only reference I have is this picture of a scale model car. Any info would be of a great help. Marcel Massini would know. Do you have the latest Dino book? No. I have a few Ferrari books, but not the Dino one.